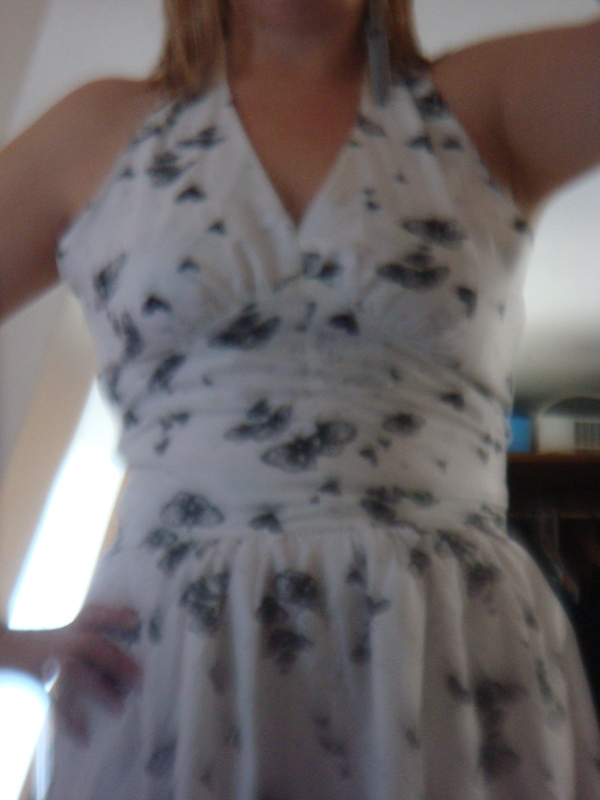 I was pretty pleased with myself for finishing this Butterick dress but the sad reality was that I never wore it. I had made something that was a terrible fit. I thought I could alter it without actually doing a muslin and ended up with an awful fit – there is definitely a lesson in there somewhere! Instead of a lovely dress that I felt proud of, I had one with a gappy bust and awful waist placement that I was too embarrassed to wear and yet too ashamed to admit was a failure! Please tell me other people have these moments? I hate giving up on things. That’s not to say that I never do, I just hate admitting failure – especially to myself. Hmm, the phrase ‘pride comes before a fall’ sticks in my head. I love the fabric and with the make and mend sewalong in mind, I took apart the original dress and cut out what I could, using the Colette Eclair pattern. A pattern which suits this fabric a lot better – cotton voile. I also know that Colette patterns tend to fit me better than Butterick too. The picture is pretty blurry but I think you can probably tell that all sorts of horridness is going on here!